Once you have completed the checkout process you will recieve a confirmation email detailing your order. All orders under the value of £25 will have the associated delivery charge based upon weight. 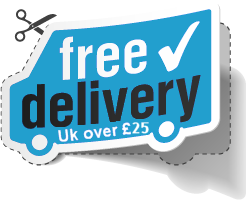 If you select Special Next Day Delivery as an option (when available) then your package will be insured up to the sum of £500 and guarenteed next day. If you require a tracking number then please state this when ordering. We will endevour to send you when possible a tracking number. The cost off this service is usually standard Royal Mail prices time of order depending on the package weight. EU International orders are subject to the country ™s import regulations. We will not accept liability should the goods fail to clear customs. EU International orders are welcome and will be via shipped via Royal Mail Air Mail, which is usually between 3-5 working days. Recent changes in the International Royal Mail services restricts us from sending batteries so please remember this when placing the order.